Everyone likes to have options. I mean, just think if the passengers in Airplane! had been given more than just "steak or fish (or lasagna)" for dinner options. The fellows over in charge of the Bloom horror RPG wants to make sure you have options for your horror RPG sessions. 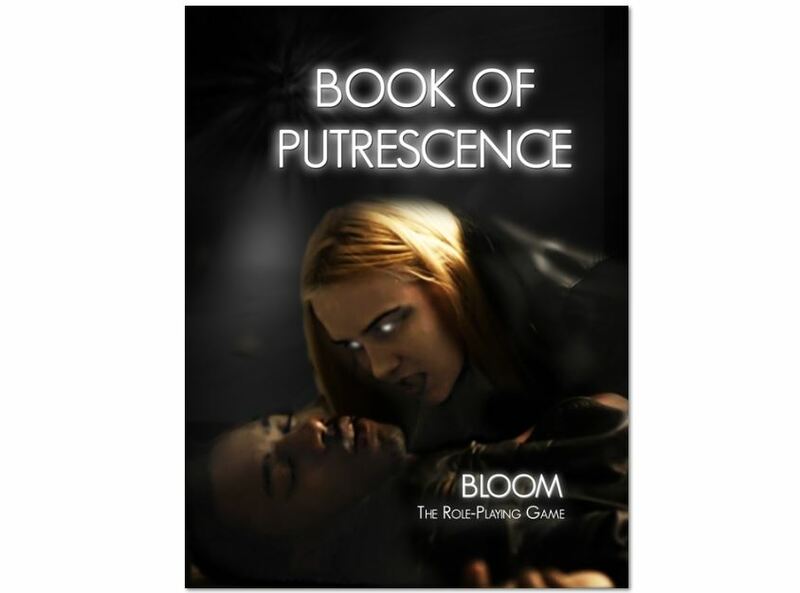 As such, they've released the Book of Putrescence. This new book greatly expands what sort of things you can do with your character in Bloom. Though you don't have to allow/use all of it if you don't want to. *pirate voice* It's more like guidelines, anyway. */pirate voice* In the book there's new systems for Putrescence and Redemption, five new Vampiric feats and six new Putrescent feats. Anyway, the book is available now, so go grab your copy for just $1.